Two European cruise lines will be make inaugural calls at the Port of San Diego this week as the cruise business continues to bounce back from the Great Recession. The first new vessel to call at San Diego will be the MSC Magnifica, from a Swiss cruise line, arriving on Tuesday. The 964-foot ship has 16 decks and can accommodate 3,000 passengers. The visit is part of a 118-day around-the-world cruise which features stops in two dozen countries. On Friday, the 757-foot, eight-deck Artania of the German cruise line Phoenix Reisen will arrive with as many as 1,260 passengers. The Artania is on a 116-day around-the-world cruise. 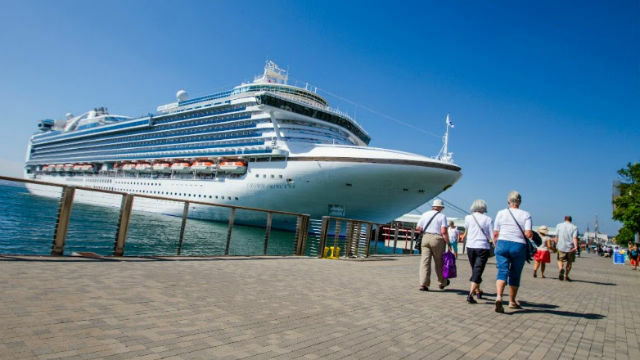 San Diego is California’s third busiest cruise port, with 92 cruise calls and nearly 300,000 passengers expected during the 2019-2020 fiscal year. Each cruise that begins and ends in San Diego generates as much as $2 million for the local economy.